None of us did too badly yesterday, bad economy and all. Thanks to my company giving us a cash bonus back on Halloween, I was able to provide the kids (and possibly myself) with a nice but not over the top Christmas. Here are my personal favorites. Thanks Mom, for knowing me so well. Charlie clearly knows me just as well. 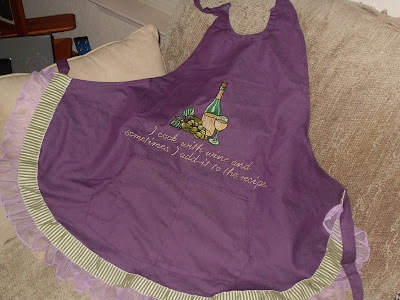 I think this apron almost brings me up to Mama Kat status. Maybe just a little? No? Yeah, okay. But at least I'll be cute when I'm cooking. Another highlight is receiving something I didn't even know I was missing until now. 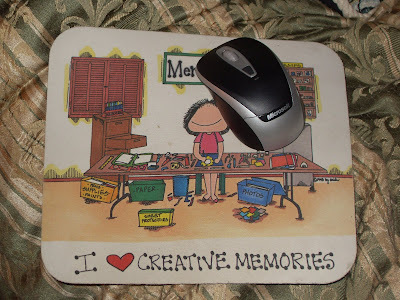 No, it's not the mouse pad -- it's the WIRELESS mouse! What a serious convenience this miracle is, especially as I drag my laptop all over the house. 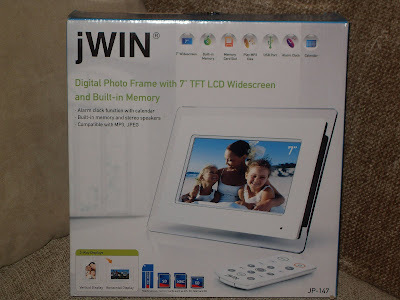 The funniest part about the next gift is that I had just recently thought one of these would be great at the office. A few weeks ago my boss brought in one that he'd bought for his wife, but after learning she didn't want it, he asked me to get it up and running for him at his desk. Happy to! I figured it all out and then told him all he needed to do was bring me some pictures on a disk or flash drive. His stunned deer in the headlights look told me he wasn't too sure how that would work. I asked him if he could email me some pictures, and he asked me if I was being sarcastic. His gift still sits on my desk, but now I have my own! Lastly, the one thing that I bought for myself with my bonus money. I think a girl can use a new one of these every two years, and thanks to how well made they are, it'll last for years to come! Thank you family for being so thoughtful! In what has been the most difficult year of my life, I feel grateful to have ended it in such a fun way. I LOVE your Coach Purse...it's awesome! 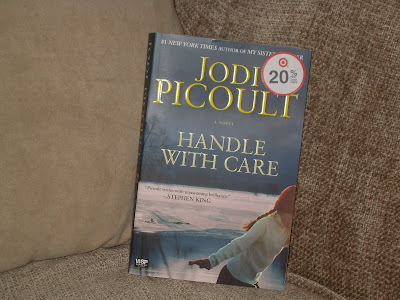 Jodi Piccoult is one of my favorite authors; Charlie did well! 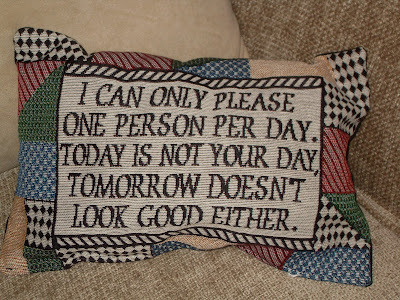 The pillow your mom got you describes me perfectly, too! Great minds think alike!! Hope you had an blessed Christmas! A. I just reading Handle With Care a couple of weeks ago. Loved it! 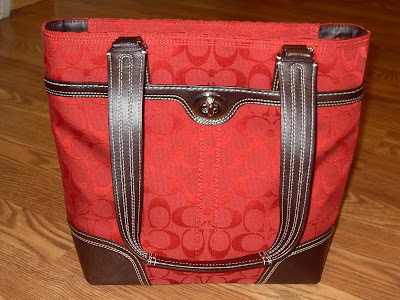 B. Swooning over your new purse!